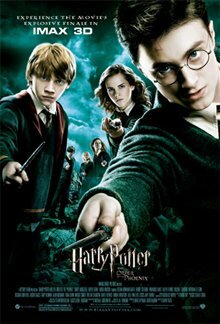 Harry Potter (Daniel Radcliffe) has had another miserable summer living with his abusive relatives, the Dursleys, as he awaits his fifth year at Hogwarts School of Witchcraft and Wizardry. When Harry and his cousin Dudley are attacked by dementors, he manages to fend them off with a magic spell, but is then threatened with being expelled from school for using underage magic in front of a Muggle (his cousin). 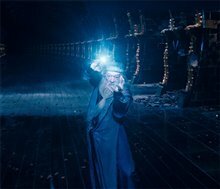 Thankfully, just as Harry begins to lose hope, he's acquitted thanks to help from Hogwarts Headmaster Albus Dumbledore (Michael Gambon). 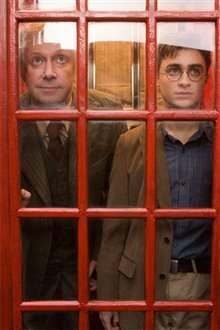 However, when he gets back to Hogwarts he finds he's ostracized because much of the wizarding community blames him for Cedric Diggory's deaththey don't believe Cedric was killed by Voldemort or that Harry fended off the dark wizard. 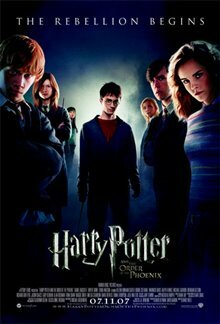 Dumbledore re-forms The Order of the Phoenix, a secret society to fight Lord Voldemort and his followers, the Death Eaters, stationed at Sirius Black's family home. 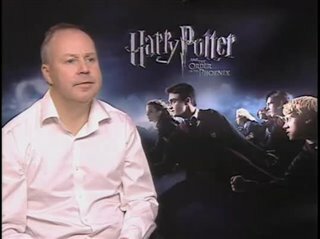 Harry begins to have terrifying nightmares that seem to connect him to Voldemort's thoughts. 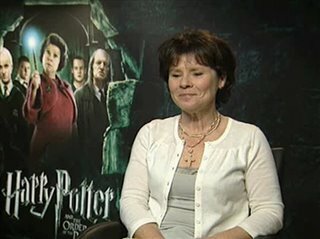 Not only that, but the new Defense Against the Dark Arts teacher, Professor Dolores Umbridge (Imelda Staunton), singles Harry out for vicious punishments. She refuses to teach the students how to defend themselves against the Dark Forces that are becoming more and more threatening. Harry is convinced by his friends to form a group of students to teach them how to defend themselves. 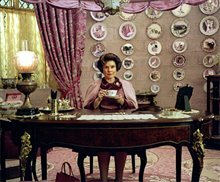 The success of the group depends on all of the students involved keeping their meetings secret from Umbridge. "less talking more action and mystery and scaryness"